Everyone wants to have a house on the dacha. Want to was it large and beautiful. And yet, to its construction at a cost as cheap as possible. Build yourself a house out of Adobe. Cheaper material hard to find. For land under the cottage purchase houseIR in the nearby village. This is the cheapest option. Because it is already a kind of road, a power line, in the yard dug a pit, so that light and water you have already provided. Purchased houseIR will serve you first as temporary shelter – to shelter from the weather, storage tool. So in terms of initial costs is made, proceed with the construction of a country house. Start with the layout of the Foundation. If square footage allows, it is advisable to build a house in one level closer to the ground. The Foundation is better to make a strip of concrete, reinforced with a metal grid. For its production dig the trench for pre-made markup. Black land use for the beds and collect clay and stored in one place. To save something on the cement, gravel and sand is unlikely to succeed. You can only win on paying the workforce. In order to pour the Foundation, you can call friends and relatives. The work is hard, but do not require special skills. After the concrete hardens, make the waterproofing. Now align the Foundation walls of red brick - make the base. Then put another layer of waterproofing. The clay is extracted by digging trenches for the Foundation, put in a container, mash and add water. After some time in this clay the milk, lower the straw and let it soak in this solution. After impregnation lay the straw on a lattice or grid. Allow to drain the excess moisture. Now, impregnated with clay mortar, the straw in place in a casing, fixed on the vertical bars of the frame. Mass seal manual rammer, let it dry. When the wall "grab", remove the formwork and move it to the next place. And so as long as the height of all the walls reach the desired size. This is a big saving in construction ends. Then make a normal attic floor, install truss system. On it mount the crate and lay the roof. Inner and outer finish walls make according to your taste. Lay the floor. Mount the water supply system, electricity, install plumbing appliances, electrical boiler and heat radiators. Your country house is ready! To save money the materials from trusted companies and at affordable price. Many people dream of a country home is becoming more feasible due to falling prices for construction goods due to the abundance of the proposed range. And to build his own house in the village, you need to know about just a few steps to his dream. Decide the place where will be built the next house. It can be bought unpopulated area with plain raw vacant lot. However, consider proposals and with existing houses, sometimes the land is cheaper to buy and just demolish an old house than buying a bare territory. Make a layout or drawing of the future house. Imagine how it should look and place residential and non-residential premises. Find out the exact yardage that you have, and describe every inch of a particular room, to make it easier to make an estimate on the required materials. Purchase the necessary material and tools if you are going to build a house. Visit the building Department and ask the seller what material is best to take based on your objectives and ideas. Remember that you need to choose the material for the base of the house, but coverage for future roof. The choice of material, focus on your capital. Of course, if you choose brick or concrete, this house will last longer than wood, and it is not so terrible frost and snow, but will cost it dearly. Approach to the construction of the house with responsibility. If construction time is limited and you're not afraid to make it, you better find assistants or hire professionals that will manage everything in time. However, if you hire strangers, check all made by them, ranging from the laid stone, and to made of wire. Despite the fact that you seem to be paid for a good result, be forced to alter the "herd", when workers will receive the money will not be easy. Decide the channels, which will go to gas, water and electricity. Water channel and electric in any case should not cross, as it is not safe and can cause unnecessary waste. Invite experts to install gas. It's not so much expensive, how dangerous. In case of unprofessional installation may leak. Gas for a long time will accumulate in the ground, after which under certain conditions will cause great harm throughout the site. If the house has two floors, it is not necessary to build the roof separately from the house, install it will be extremely difficult and expensive. If the house has only one floor and fairly small, you can build a frame on the ground in comfort and without fear. To the construction of the house came cheap, will have to build yourself or to follow the construction process quite closely. Some people can't exercise due to the fact that one does not have the strength and energy, and others - is simply not enough time. Cheap house may be erected, provided that you select a project in which to understand not only the people who help you in its construction, but you do. You should choose the right materials: for example for the walls is better to choose in accordance with the affected environment. Sometimes cheaper wood, sometimes concrete, and in some areas and made of brick. During construction it is necessary to consider the current regulations on the thickness of the walls. And if you build a brick wall, you must know that it will take great effort, brick, cement, and perform it yourself will be quite difficult. Chasing low cost, it is likely to acquire pretty low-quality materials, so you should monitor this carefully.In order to save you can reduce the width of the house, remove some walls in, for example, between the hall and kitchen. To make the roof gable and to reduce the thickness of the walls a couple of inches. When using modern building materials and tools, you can do the construction yourself. A fairly quick and relatively cheap construction of the house is to build using blocks of polystyrene foam. These blocks are hollow, which poured the cement for the construction of walls of these blocks. The house, built with the use of such materials retains heat even better than brick, that quite significantly reduce heating costs. Styrofoam – the material is quite harmless, its use is allowed even to come into contact with food, therefore the danger of its use there. 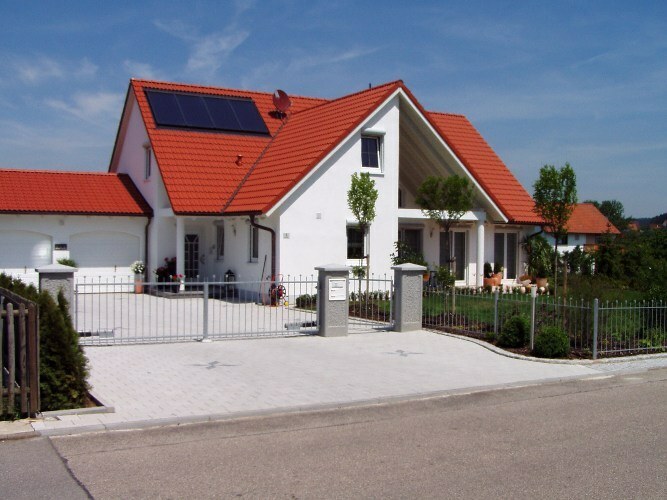 To build a house from foam concrete are preferable to concrete slabs in order to avoid deformation of the blocks. After the construction will have to faithfully look after the house, to heat it, as foam concrete blocks can soak up moisture and during cold weather may cause cracking. The savings in the construction of such housing in comparison with the house built with bricks will be achieved through the reduction of preparation of Foundation loading and unloading and prices for the materials. How to build cheap house: the construction of a private house for ridiculous money. How to build a house cheap? 28.04.2010 | Author: Experienced Foreman. For the past six months, going from work to home I had the opportunity to see the construction of a house, its development in time. You know, there are pictures where, for example, a flower, beginning as a small sprout emerges from the ground, then grows a stalk, and in the end there is a beautiful Bud. No matter how much we wanted to live the European way, just to build the house in Russia to a German or Dutch the project is unlikely to be appropriate... the North of Russia has certain peculiarities of climate have a significant, if not defining the Low winter temperatures adversely affect the comfort of the home. Only through rational planning and solid solutions to make the house warmer and more efficient. The easiest way to reduce heat is to reduce the external perimeter of the exterior walls. Many people are thinking about building your own home, while they have understandable desire to build it quickly and inexpensively. There are many technologies that in a short time to build quality and fairly inexpensive homes. The cost and time of construction of houses is largely dependent on the area, which is under construction. The colder the climate, the deeper you have to lay the Foundation, the hotter must be the walls. The choice of material for the walls largely depends on where you live. If you live in the South, one of the simplest solutions is the construction of houses on the technology of brick plus Adobe. Despite the seeming primitiveness of the material, Adobe house are of very good quality. They are warm, eco-friendly, can reliably serve for decades. From Samana it is possible to build even two-storey mansions. In the construction of modern Adobe homes on the flooded first Foundation post outdoor decorative wall brick. Wall thickness minimum, in a half-brick. Then near the brick wall inside spread a wall of Adobe. Between the brick and Adobe leave a small air gap. The disadvantage of this technology is that the finished Adobe wall must be allowed to settle, it takes about six months. Only after that the internal walls can be plastered. Very quickly you can build a house of aerated concrete blocks. They are light, warm, well maintained, built of them the house is distinguished by excellent characteristics. The construction is like working with Legos, to lay out a house of aerated concrete blocks under force even to those who have never worked construction. This option can be considered one of the best in terms of price and quality. It has gained widespread construction of frame panel houses. Lumber and plywood frame is assembled, the inner wall space is filled with insulation. As insulation used a variety of materials, from wool to straw and Adobe. 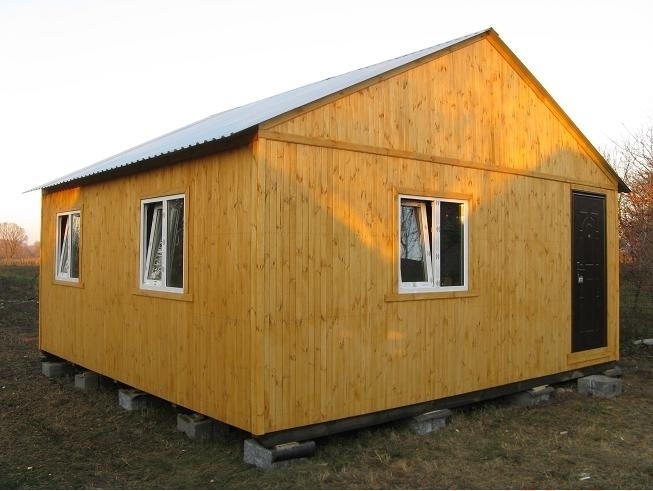 The cost per square meter of panel-frame houses is one of the lowest. A low enough price different flooded houses. During construction we used the adjustable formwork, as the main material is expanded clay or boiler slag. Sometimes the casing used a special hollow concrete blocks after their installation, the inner space is filled with mortar with expanded clay or slag. Increasingly in the construction of homes use round logs. The cost of the house from such logs is quite large, but it is compensated for its high operational and environmental performance. Logs can be glued timber, in this case they are thicker and nicer, but their cost increases significantly. Self-building a home requires not only skilled hands and a knowledge of materials and tools. The future owner also has to determine the volume of the necessary materials and calculate all the construction costs. The cost of building a house will largely depend on the scale of constructed structures. Before to begin the preparation of estimates for construction, prepare project of the future house. If you find it difficult to do it yourself, contact to the finished development, which are abundant on the Internet. This project, of course, is not exclusive, but will not require additional expenditures, which could not be avoided when referring to the project organization or to the independent designers. Now that you have determined the General area of his future home, you can start the calculation. Costs direct construction of houses include the cost of building and finishing materials. The total cost of the construction of the foundations of the whole structure depends on how you see your dream home: wood, brick, or made of cellular concrete. 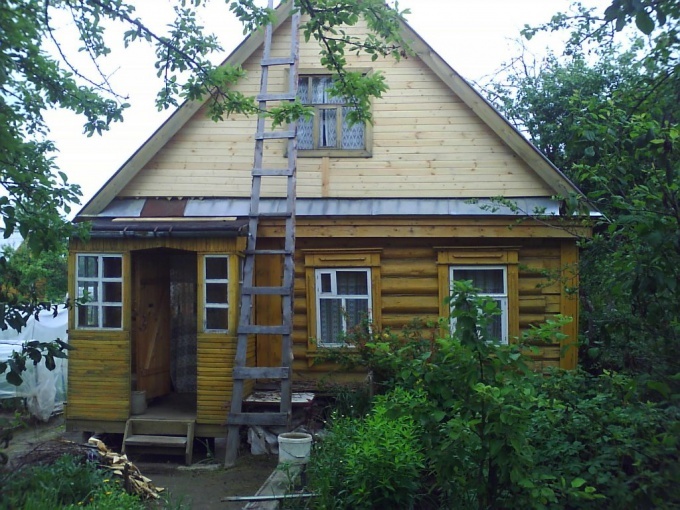 Construction of houses made of wood on average will cost you 12-14 thousand rubles per sq. m. Brick or cellular concrete is more expensive: up to 20 thousand rubles per square meter area of the house. These figures should be considered if you are planning a very simple one-story building. For two-storey buildings and for more refined architectural solutions price per square meter may reach 60-70 thousand. 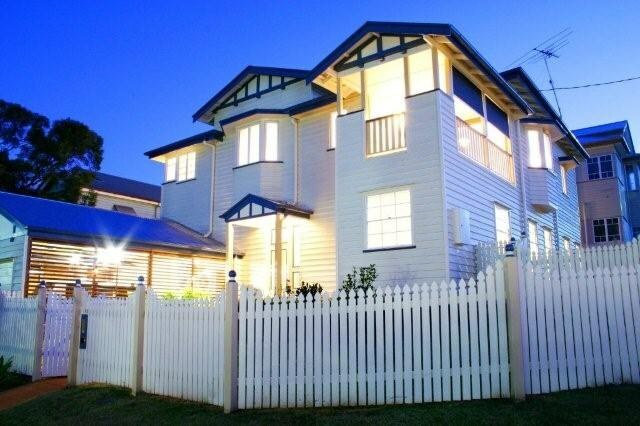 An important article for construction costs – the interior finished home. The cost of finishing the interior will depend on the material from which made the walls of the house. The structure is of brick and porous concrete will require 3-5 thousand rubles per square meter of area of walls. 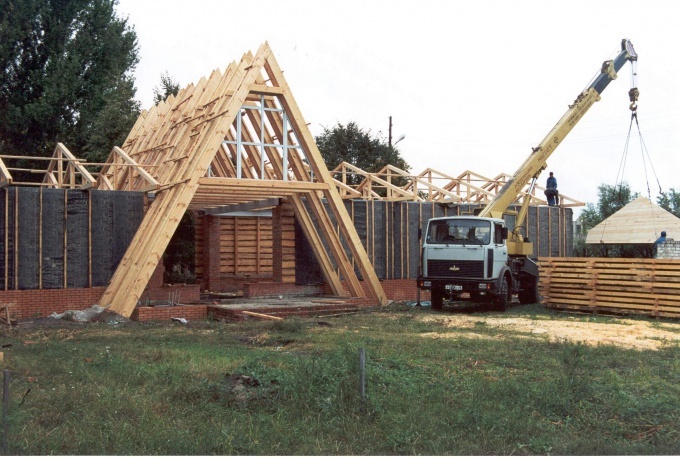 For wooden structures the cost will be 2-3 times lower than in the case of finishing of a brick building. Don't forget about the cost of electrification of the section where is located the house. They will consist of the price of wires, switches, sockets, automatic shutdown system, electric meter and so on. Estimating the cost of the device power system, assume that they will be about 600 rubles per square meter of housing area. If you plan to equip the country house of a centralized gas supply system, please note that connection may only be made by specialists certified organizations, each of which sets its own prices for services. The minimum cost routing of gas pipes in a residential area will be about 20 thousand. It is also important to take into account the costs structure of sewer and water. The connection to the existing water system will be relatively cheap. If you decide to build near the house a well, keep in mind that the price will amount to 3-5 thousand rubles for the ring. The drilling of individual wells can cost you 80-100 thousand. The cost of the final arrangement of the area is relatively low. They usually involve, the removal of debris, construction of fence with gate or gates. Most of these works can also be done internally with minimal use of resources. Be, however, prepared to ensure that during the execution of the construction project at home costs could increase, because all the little things to consider at the outset is quite difficult. Experts believe that pre-compiled estimate may be doubled. For example, if you felt that the house construction will cost you 750$, mortgage costs 1.5 million This will help you avoid disappointments in the latter stages of construction when you will see that do not fit in the budget.